Also, a Free Exam Tip Guide is Included with Registration! "Hi, I just want everyone to know that this is probably the best product of its kind out there. Thanks to the TrainAgile mock exams I was able to gain confidence on the format as well as identify areas of weakness. The knowledge area scoring histograms are, as far as I know, unique and make these mock test a great study tool. After studying the material, I took a series of mock tests on the week prior to the exam, and was able to pass the test on the first attempt." 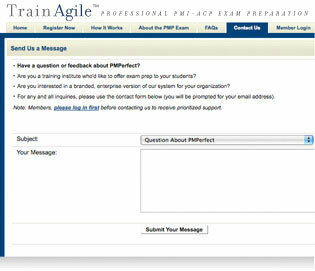 "Just a quick note to let you know that using TrainAgile was a major part in my successful completion of obtaining my PMI-ACP. I think the most important part of this was not so much the actual answers, but more of learning what the questions were really asking. It made me think like the PMI. This helped my understanding immensely." "Sincere thanks to the TrainAgile team for providing the practice exam questions with same look and feel as the actual exam , even though the exam format was new to me, I was able to pass by using these practice questions. I highly recommend TrainAgile." 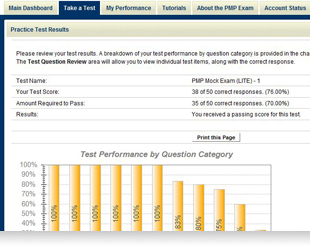 "I passed the PMI-ACP exam on my first attempt! Prior to taking the exam I did a few practice exams each day for a few weeks. As I discovered weak areas (easily identified from the exam results), I reviewed those areas to improve my knowledge. This process worked very well for me without taking a great deal of time out of my day each day (important when you have to work for a living)." "I found TrainAgile’s online material very helpful, it enabled me to track my progress as well as areas in which I have to focus more. Sample questions were very close to the actual exam questions and made real sense. 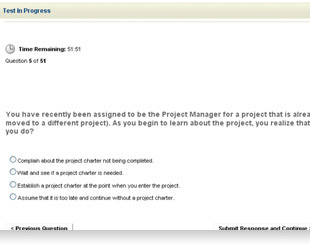 I passed my PMI-ACP, Thank you." 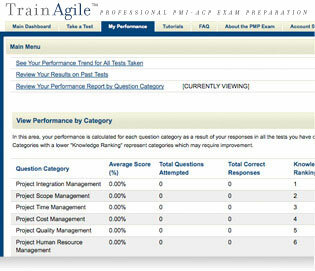 "I found the TrainAgile tests to be one of the key factors in my passing the PMI-ACP on my first sitting. They allowed me to see where my weakness areas were via the progressing metrics, allowing me to strengthen my knowledge in all the chapters. I went through every test at least twice, and found that the questions were similar to the actual test." "TrainAgile was a great tool for me. I used it exclusively to study for the PMI-ACP in the few weeks prior to the exam. I finished all of my requirements nearly a year ago so I only had one shot to take the exam and pass. Thanks to TrainAgile and a lot of late nights, I passed the first time!! 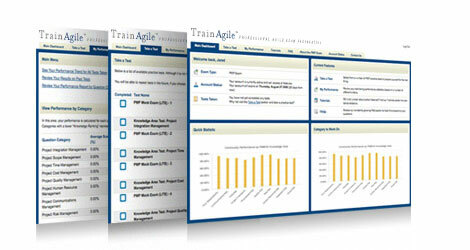 I highly recommend TrainAgile." "I passed my PMI-ACP certification the first time! I contribute my success to having TrainAgile as one of my main study tools. TrainAgile responds using PMBOK, cites locations within PMBOK. From my test experience it's test structures are one of the closest I found that mirrored the types of questions on the PMI-ACP exam." "The TrainAgile exam service was instrumental in helping me prepare for the actual exam. The logical sequencing and structure of the practice tests, along with the post exam reporting, enabled me to identify areas of weakness and drill on those to increase my competency. I went into the actual exam feeling prepared and confident of passing on my first attempt. Thank you TrainAgile; best $59 I spent in my preparation efforts." Get to know which areas of Agile study need more attention before going into the real exam. Multiple different PMI-ACP practice tests, containing hundreds of professionally-written PMI-ACP questions, provide you with realistic test assessment information to help you understand your study & performance trends. 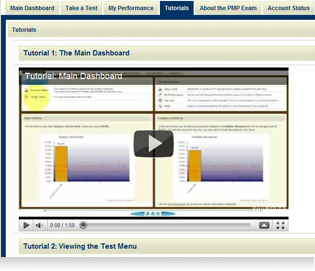 Access Multiple Exams & Practice Tests or Create Your Own! 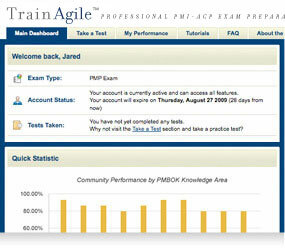 Take many PMI-ACP mock exams and practice tests, with the opportunity to track your test-taking performance. Plus, we make it very simple to create your own PMI-ACP practice exams using our massive question database, containing over 1,000 realistic exam questions. Our testing engine is specifically designed to mimic the actual PMI-ACP testing environment and overall experience online, with absolutely zero downloads necessary. 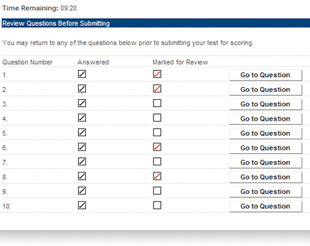 Save your test progress by marking your responses for later review, and be able to come back to any test question before getting the final results. Plus, you get to take the test using the same time limits as the actual exam to simulate the real experience. A test scoring review is given to you after each PMI-ACP practice test, which conveniently allows you to view and asses each of your strengths and weaknesses, divided by each section of the PMI-ACP exam. 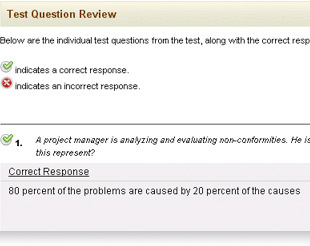 You will have the option to review your test analysis, which provides a full explanation behind each Agile test answer. This is a great way to fully understand which test answers are correct and why. 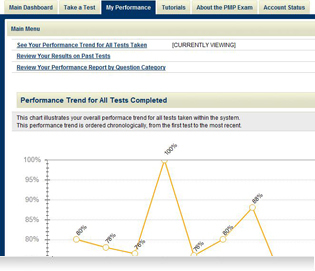 In order to better focus your PMI-ACP study habits, you can check the My Performance tab, which will contain a summary view of each tracked practice test that you take along with your overall examination performance trend. 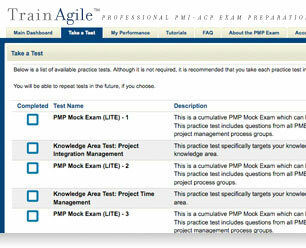 Receive reports that grade your performance by each subject area of the PMI-ACP exam. These reports provide test-taking trends over a period of time, including previous test results. We strive to make sure you receive the necessary help from the TrainAgile test preparation service. Every membership receives access to our video tutorials, which will introduce you to all of the helpful online features we have to offer. With membership, we have also included other functions and features to help you get the absolute most out of TrainAgile, like a personalized dashboard, a helpful account overview, FAQs and always accessible Dedicated Support.